Fill out the form with any questions or inquiries you have for the sales consultants at Celebrate by Del Webb. You can also call or chat with us for immediate responses. Serene waterfalls set the tone for this welcoming resort-style community of consumer-inspired villas and single family homes. You're sure to meet new friends at the impressive Riverside Lodge--whether you're playing tennis, taking Zumba, relaxing with scrapbooking or playing Billiards. And a legendary golf course is only nine miles away. With so many ways to stay active or embrace relaxation, you may not want to leave Celebrate by Del Webb to explore Historic Fredericksburg. 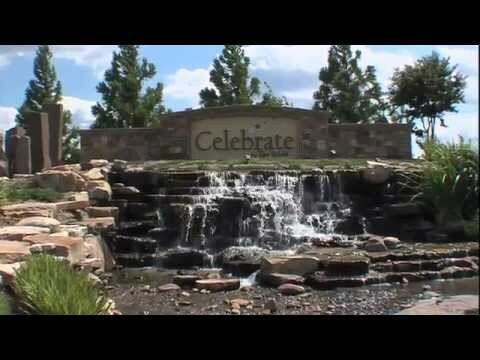 Explore Celebrate by Del Webb so you can see the beautiful community and resort-style amenities. We believe you’ll like it here. The Classic Collection features beautiful single-family homes at Celebrate including the Noir Hill, Blue Rock & Passport. Choose the features & finishes you love & enjoy a new, low maintenance home. The Premier Collection features the largest single-family homes at Celebrate including the Castle Rock, Martin Ray & Abbeyville. These impressive homes boast open layouts perfect for entertaining. Almost Sold Out! The Villas feature attached single-family homes boasting thoughtful details & a low maintenance lifestyle. The versatile Noir Hill detached home provides two bedrooms on the main floor plus space for guests or a den upstairs. The Blue Rock detached home provides both the master suite and a second bedroom and full bath on the main floor. The Passport's kitchen impresses with an oversized island and abundant light streaming into the cafe and gathering room. Great for entertaining, the Castle Rock also boasts a large, spa-like Owner’s Bath and oversized walk-in closet, as well as flex space. With a finished game room and full bath in the basement, mingle comfortably in the extra space of this Bluemont when you host game night.